Everything you do as a volleyball coach starts with the priorities you have. Kind of hard to achieve goals you don’t know you have, after all, isn’t it? Working from priorities is a top-down process. Unfortunately, many coaches take a bottom-up approach to their coaching – especially inexperienced coaches. Quite often newer coaches get caught up what I’ve heard described as the “drill collection” phase. They forget to think bigger picture. By that I mean a coach will learn a new drill and become excited to use it in training. They fail, however, to look at the context of that training to judge whether the drill is suitable at that time. Every drill in every training session should have an objective. Every training session should have one or more objectives. There may be objectives for certain periods of time during a season. For example, pre-season objectives vs. early-season objectives, vs. late-season objectives. There certainly will be overall season objectives for the team. The club or school program of which the team is part will have objectives. The requirement is to start with the top level priorities and work down so it all lines up and every effort of yourself and your players is pulling in one direction. This is not to say that each training session in a given period of time (like pre-season) should have the exact same objectives. It’s just that the objectives chosen for a given session should contribute toward the reaching of the next level of objectives. For example, your pre-season objectives may be to develop fitness, get rid of the off-season rust, and create a cohesive team. You can focus on any one or more of those objectives in your pre-season training sessions. I go deeper into developing a training session plan based on your defined objectives in other posts. For now, make sure that what you do in training lines up with the team’s higher level objectives. You will be a much more effective and productive coach just taking that step. 3 replies to "First Things First, Know Your Priorities"
This is a good posting in my opinion. I understand the importance of being what I call task minded. Each pre-season practice has a task (objective). The majority of the drills during practice should focuses on the task. I.E. 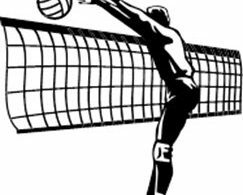 Serving Tactics is the task so the majority of the drill will address to put the opponents in a position to give a weak attack or attack in a logical location. On the other side we address what we can do to minimize our opponent’s serving tactics using the same drills. Our tasks evolve based on matches played during season and near the end of season. If our team is challenged by specific items we work on those things specifically. On the other side we focus also on what worked well for the team during the match(s). We feel we can get stronger on what we do well as well as what we do not do well. I would alter the vocabulary here Kelly. To my mind a “task” is something done, whereas a priority is a focus point. 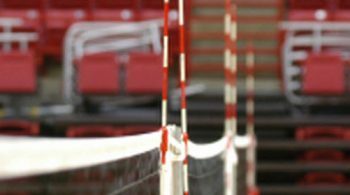 Using your example, serving tactics would be the priority – the focal point – whereas something like a player putting 10 serves in Zone 1 would be a task. Thus, one uses a series of tasks (which are likely part of drills or games) to work on a training or developmental priority. A fantastic analogy from my teacher training; a doctor wouldn’t prescribe a new medication just because it is new and they would like to prescribe it without bothering to give you a proper consultation. Why then should a teacher (or coach) just do a drill because they like it? Or because it is new? They must do things which will help their learners and not just activities for the sake of being active.